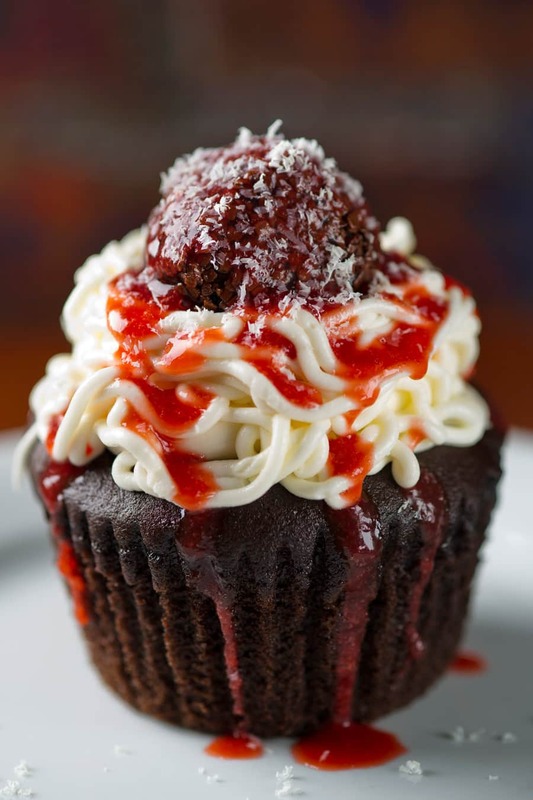 Believe it or not, this is one sweet treat – not a single savory bite. This adorable dessert is only on the kids’ menu at Mama Melrose’s Ristorante Italiano at Disney’s Hollywood Studios and they sell about nine dozen every day, says Chef Christian Rumpler. Just in case you want to try to make your own, Rumpler says it’s a chocolate cupcake, topped with vanilla buttercream tinted with a touch of yellow that’s piped from a pastry bag with a skinny tip to create the “spaghetti.” (You can make your own pastry bag with a zip-top bag with a small hole clipped in one corner.) 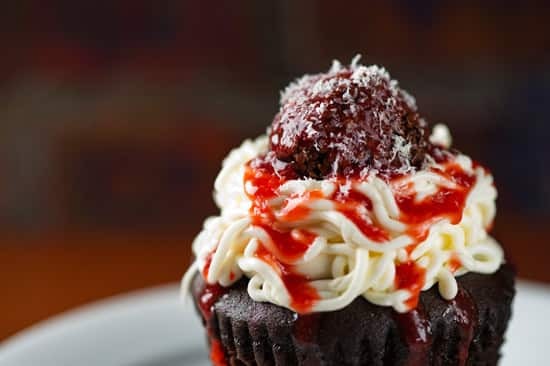 The “spaghetti” is topped with a chocolate cake “meatball” (rolled in chocolate sprinkles), drizzled with strawberry “red sauce” and finished with a flourish of white chocolate shavings as a stand-in for the Parmesan cheese. Have you found any fun desserts we should know about? The Chocolate “Moose” at Le Cellier is my favorite dessert in all of Walt Disney World. It was originally for kids, but now I see as many adults eating it as children. For those who haven’t had one, it is a scoop of chocolate mousse on a dessert plate with Canadian leaf “ears” attached. It is so good! 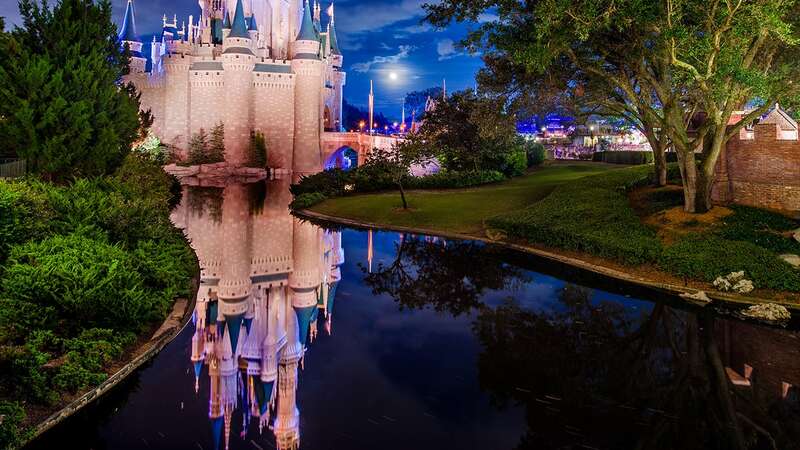 Too bad its only for the kids! I’d love to try this dessert! One of my kids favorites, along with their “must eat”: Paint your own chocolate puzzle at Yachtman and Tie Dye Cheesecake at POP. That is super cute!! Bet it tastes great, too! That is one cute cupcake!